Author: Cardinal Avery Dulles, S.J. [People] sometimes complain that the Church is not up to the times, as though it had to be pursuing the latest theories and styles. It would be better to ask whether the world of nonbelief is still lagging far behind the revolutionary vision that Christ brought into our history. These pages are written primarily for Christian believers and for inquirers into Christianity. They are written from a Roman Catholic perspective, by an author who came to Christianity and to the Catholic Church as a young adult. Everything in my life since that time has confirmed the rightness of that decision. I hope that as many as possible may share with me the joy and excitement of the adventure of faith. 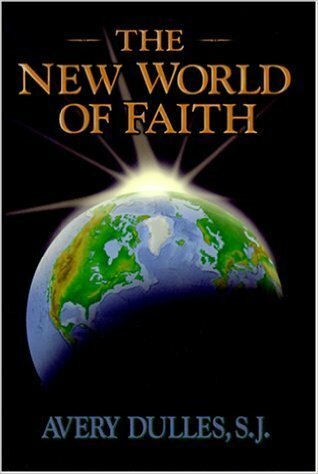 - From the Introduction to The New World of Faith In this confident, unified, and unflinching assessment of the key elements of the Catholic Faith, Father Avery Dulles, S.J., illuminates the darkness of skepticism and unbelief that plague modern life, truly presenting apologetics without apology. A convert to Catholicism, Avery Dulles, S.J., is the Laurence J. McGinley Professor of Religion and Society at Fordham University. The author of twenty books and a regular contributor to periodicals such as First Things and America, he is also in much demand as lecturer and commentator on the Faith.